The construction industry is a great one to get into. If you’re thinking of starting your own business and you know this route is the one you want to take, then you’re definitely going to be looking to earn a fair bit of money along the way. It is a hard business to get off the ground, but once you do it is well worth it. Just like with any other company you will face dangers. But the construction industry has a couple more that people should try to be aware of. There’s a lot of things that could go wrong that could potentially ruin your business. This article is here to explore some of the worst, and how you can make sure you’re protected from them. The building site that you either own or are working on will have a lot of dangers. 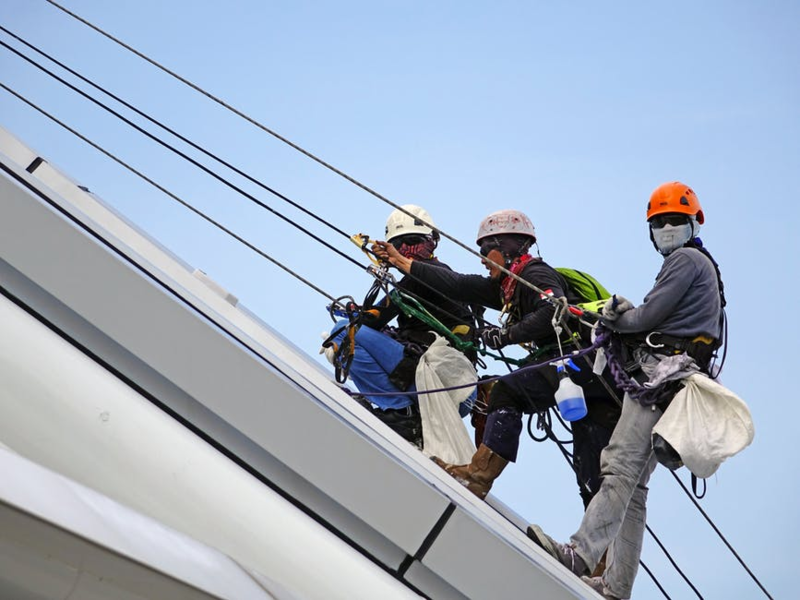 Health and safety on a construction site is always a big concern, and should one of your employees get injured under your watch, you might face nasty fines. At all times you should make sure your employees are wearing the correct safety equipment. So hard hat, high vis, goggles etc. All it takes is one little slip, or one accident with a piece of machinery and they and you could be in a whole new world of trouble. There’s also the dangers that can completely ruin the job your own. One of the main ones a construction site will face is flooding. Flooding shows no mercy, and it doesn’t matter where you are or what you do, anything is susceptible to being ruined by flooding. To try and prevent it, you could use companies such as ProMap who will assess the risk of flooding on your site before you even begin building. That way you know the risks you’re getting into, and you know you can be prepared for it to happen. One of the final risks on site is the fact that you’re very susceptible to break ins. The security isn’t the best on a building site, and once you leave for the day there’s a high chance that people will try to get in in search of expensive tools to sell. Try and make sure your site is as secure as possible, and that put in things such as security cameras to try and stop thieves from breaking in in the first place. These happen with any business, but when you’re running a construction company things can get a little more complicated. You’re going to be working on a contract basis. Any setbacks you occur during your time is going to cost you a fortune. Plus, you’re most likely going to have employed self employed contractors, so paying them the extra for any extra time spent on a job is really going to dip into your profits. There’s also the worry that you won’t get picked. There’s so much competition out there that for the most part you have to go out in search of the jobs to make your money. It is a lot harder than other industries.